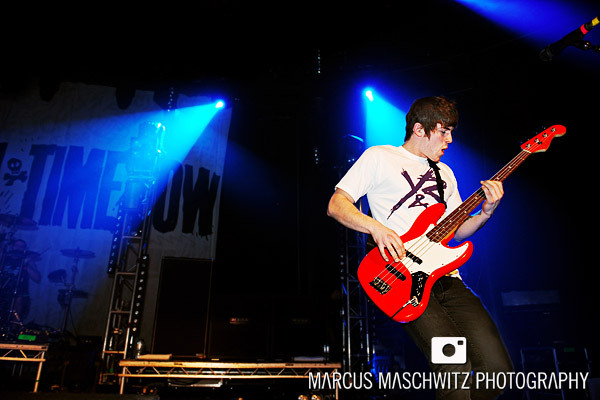 06 February 2010 – The headline for the Kerrang Tour shows as All Time Low and after shooting them last year I was eager to see if their would be a big difference as last time their bassist couldn’t make the show so they had someone else fill in for them. I can’t say that it changed a whole lot and although I don’t really like their stuff at all, the crowd loved it. It’s not that I have anything against them because I think that Alex is really perfect for the role of front man and he has a good feel to him but I think that on a tour like this, where the bands are as good as they were giving as much effort as they did, its hard to follow up with something that doesn’t stand out as much. Personally if I was watching these guys on their own it would have been less noticable but the “opening” bands were outstanding and I think that as a headline, the show never belonged to them. Not sure if it was just the damper on the lighting or if something else was wrong but I just wasn’t convinced. I work with a lot of bands and quite a lot of them are a similar style except when I work with them it seems a lot more natural, a lot less pushed. Kind of like these guys might just be trying too hard – possibly exclude Alex from this comment. All in all it was alright and again the crowd loved it. Maybe I am just getting old or maybe I am just starting to look for something unique in the scene. Maybe it’s passion, I think it might be more about that, I don’t feel convinced they have it. Anyway, this isn’t a blog about judging bands because we all have our own tastes and that’s great. I wanted to comment about this because I feel the other bands this weekend did incredibly and deserve to be recognized for their efforts. As I mentioned before, the lighting changed a lot for this set and it dimmed and became quite stagnant and bland so it was a bit harder to work with. These are a few of my favourites. NOTES: Please comment if you were at the show and let me know what you think. A lot of people from the show approached me on the nights to ask my opinion and they all seemed to agree with me. 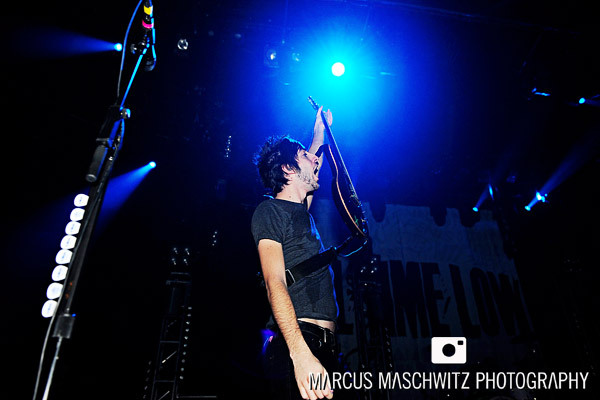 One person put it best because ATL are referred to a lot as being a “next Blink 182” and he said that unlike the guys from Blink 182, these guys just don’t have the charisma during their live shows. I’d love to know what you thought and why. You don’t need to register, just pop your name and email address (incase I want to reply personally) and let me know your thoughts. Again I want to make it clear that I have nothing against these guys. They are obviously doing something right because of how quick they are growing. Hey man. Nice photo’s from this concert. I got there late and was gutted to miss young guns. I caught the blackout who were good and amusing, in that way that you can enjoy when a band dont take themselves too seriously. ATL are a band that I think do want to be taken seriously but dont seem to have enough edge about them or in their music to yet achieve that. 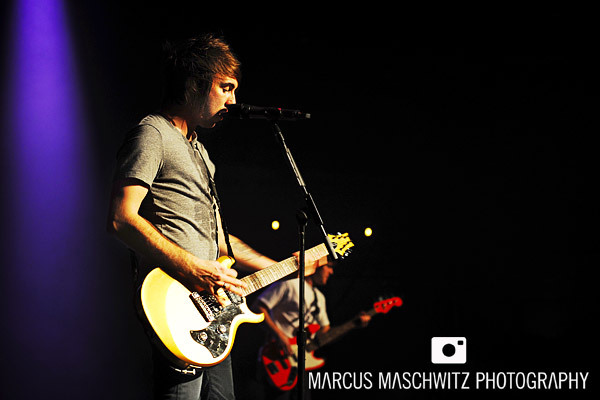 That being said ATL are the band I went there to see and I enjoy their music which to me is all about fun. I look forward to catching them again and seeing what they do next! Hi I would agree that The Blackout made the show, but to be honest I’m a little biased cos they are my favourite band. I’ve seen them 6 times now. 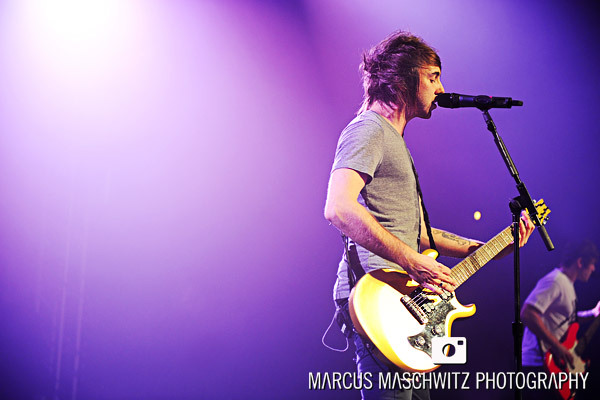 However, I actually really enjoyed All Time Low cos it was more chilled out than Blackout’s set and a bit more open. Of course all bands are there to get new fans but I didn’t feel pressured to like All Time Low, it was just an honest performance. It did take me back to my Busted days and just made me smile. I’d see them again with good support bands as there was this time. 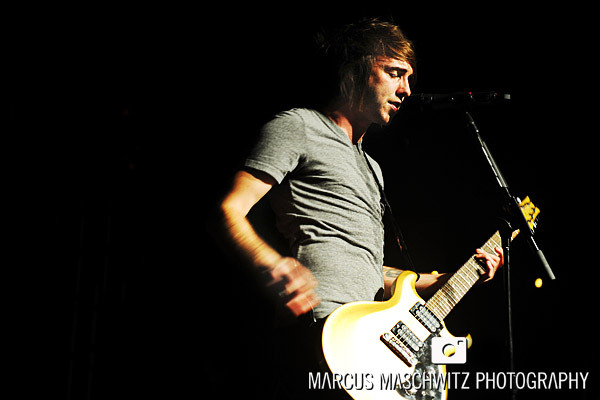 Hi Marcus, your photos are amazing. I’ve been really impressed with a lot of the photoshoots you’ve done with some bands, I’m by no means an expert but I thought you created atmosphere really well. 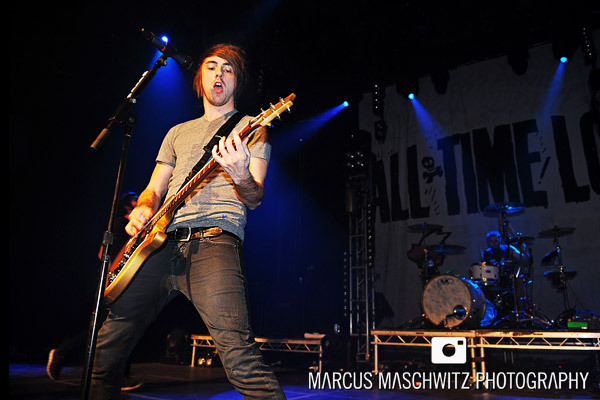 I’m a fan of most of the bands who were on the Kerrang tour and I agree that ATL just didn’t have the energy to follow the Blackout, who are definitely the best band I’ve seen live. As a band, they’re great and lovely guys but perhaps they just didnt fit the vibe of the rest of the tour. 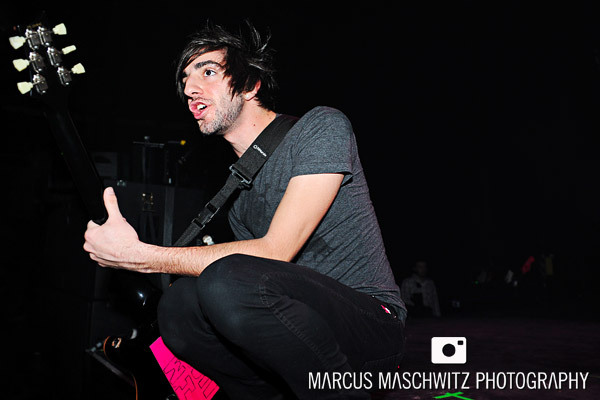 I was there on the friday (Anna from myspace hah) yeah, i do agree that ATL was a little disappointing that night. I know they must have a laugh at every show but the jokes are easily amused but a little repeatitive .. Apart from the boy and handcuffs. That was funny. But I believe they have quite a high expectation to be immature in a sense because in interviews that’s kinda how they are portrayed. But i still loved how the crowd were all singing along to their songs. Love these ones dude. Really looking good! Cant wait to get out there and shoot with you! I understand you totally. I thought TBO put much more into it too.The other bands were all amazing. I thought Young Guns were tremendous and can’t understand how they are not a signed band yet. 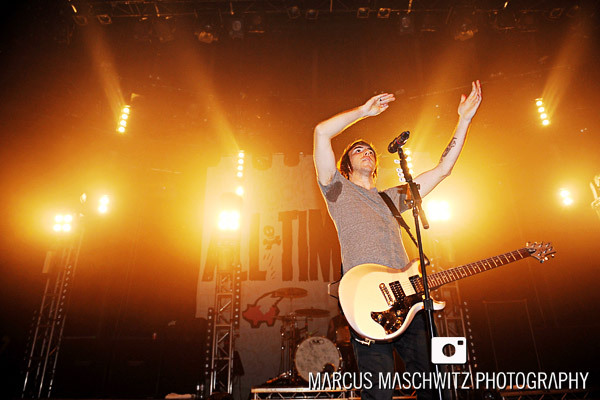 I am a crazy old (maybe the only one amongst all the teens :-)) ATL fan. 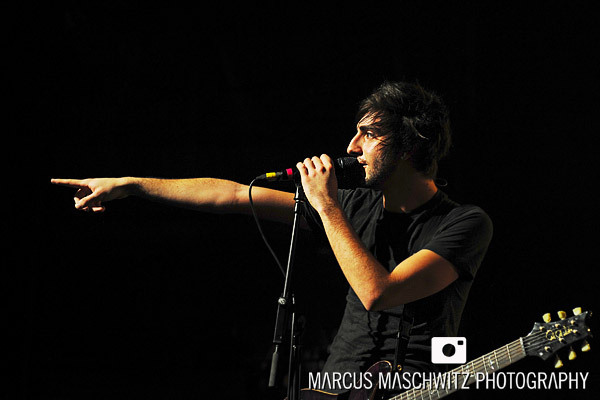 I have been following ATL since nobody knew them around here. All thanks to my boy who knew them through Myspace . 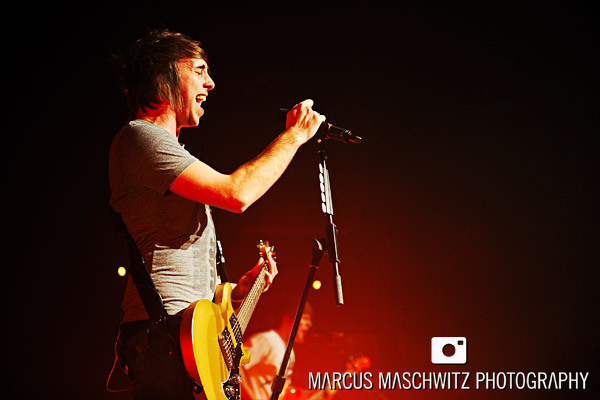 I think all time low are just four boys, doing what they love. They do what they do very well, and maybe it because of the teenage girls why the act so silly on stage. I seen them in newcastle, and maybe because they have three very amazing band on before them, they didnt look as good, but that wasnt the case, they did what the always do, put on a good show. Just like young guns, my passion and the blackout. 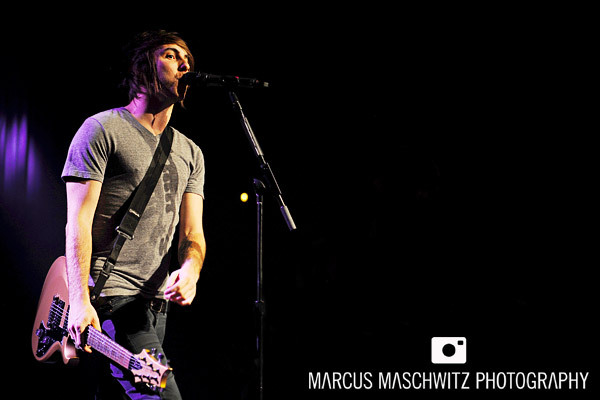 All time low, are totally different to the other bands that were on kerrang tour, and that was good to have something different. 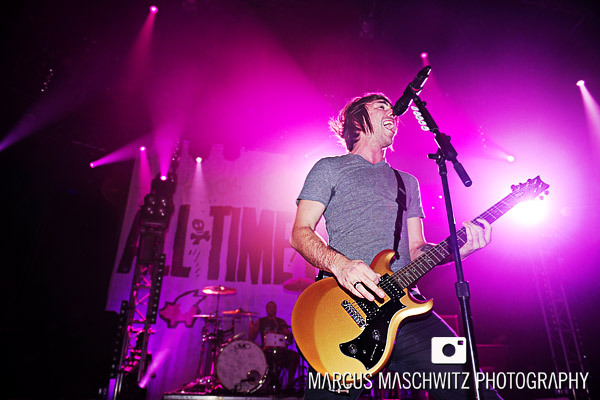 I lurve ATL but agree that they are boaring live so I just perve over A. I understand that they are having fun but it does seem boaring compared with other bands expecially the ones that were on K! Tour. @imogen I dont think you understand that marcus is trying to get people to think about music and he can say what he thinks because he obviously works with a lot of bands. 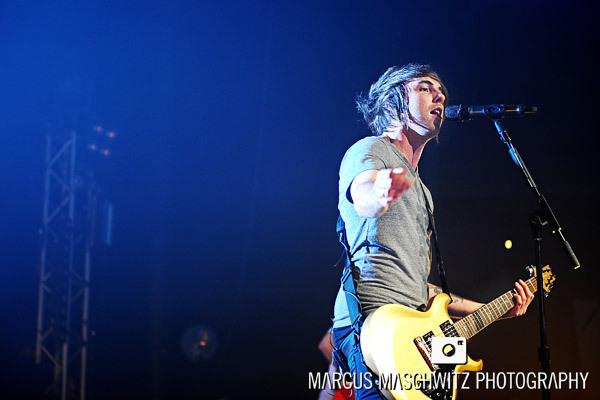 I still love Alex though. @marcus I like that you take time to give your opinions and this is mine. Like you say they are just opinions so each to there own. Keep up the work. Thank you everyone for taking the time out to read this piece, look at the photos and give me feedback on them and the show. Like I said in the post, I have nothing against All Time Low and think that their music is catchy as hell (especially LOST IN STEREO). I just think that if I had to put myself into the position of a fan that loves these guys more than anything in the world, I would be slightly disappointed. It was like a huge build up and then a step down when these guys came on. That doesn’t mean I hate them, I just think the night didn’t work and the reviews I have read since then seem to agree with me. The easiest way to explain is by using an example. 3 years ago at Give It A Name the one day was headlined by 2 of my favourite bands of all time (Jimmy Eat World and AFI). Jimmy was supposed to be the main headline band for the day but they knew it wouldn’t work as much if they had to come on stage after AFI have ripped it up with their amazing sets and stage show so the bands decided to switch spots on the day. Jimmy came out and played like they did and it was amazing and shortly after AFI followed with one of the most memorable live shows / efforts I have seen before. It could not have worked the other way around. 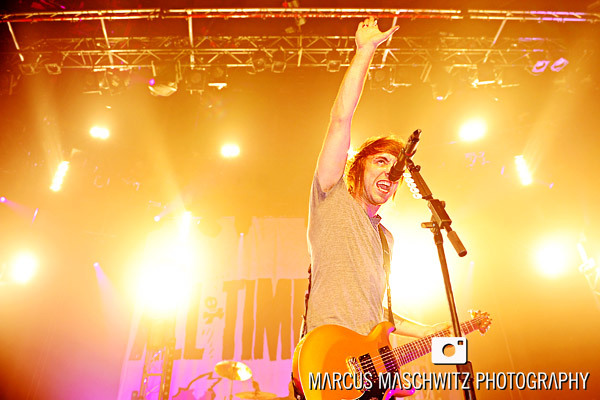 With this in mind, I don’t think that All Time Low should have headlined the K! Tour and I don’t think that the argument can be answered with “they were having fun” because I know all the bands had fun. Live music costs money and is one of the most important selling points of a band. I think we need to appreciate more when bands make efforts and push the ones that don’t to give us more for our money. Either way, like Ingrid just said, these are all our own opinions. Thanks for sharing yours, its important to keep the scene going.